And since BU was done last May 10, it still summer and the heat can be unbearable. Lucky for us, Sunsilk had a bus that fetched people from Megamall and brought them to Metrotent. Yey for not walking in the sweltering heat! 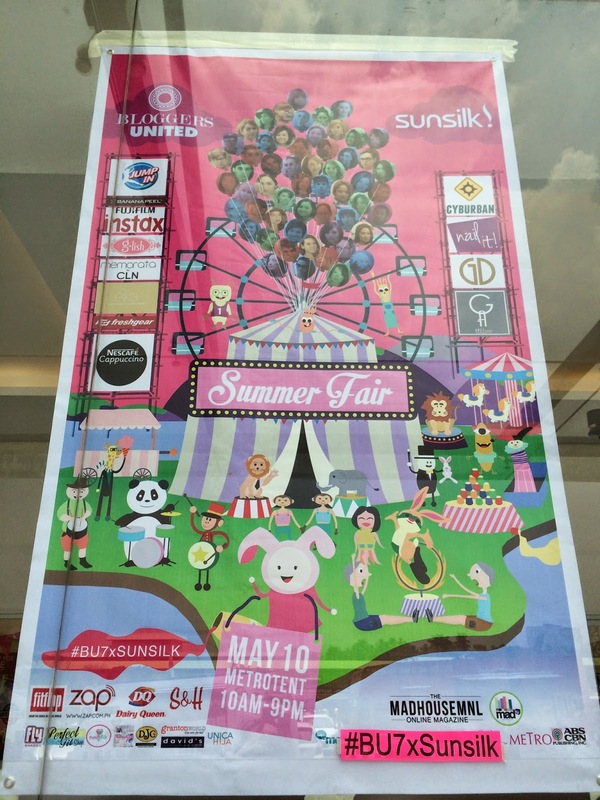 I was also surprised to see the cute Instagram shots of ours posted on the window of Metrotent. :) Cool idea! And before you entered the Summer Fair of Bloggers United 7, I'm sure you saw these pretty ladies; Arnie and Christine. Such hardworking girls! They're part of the BU team! Definitely not a fair without popcorn and cotton candy! 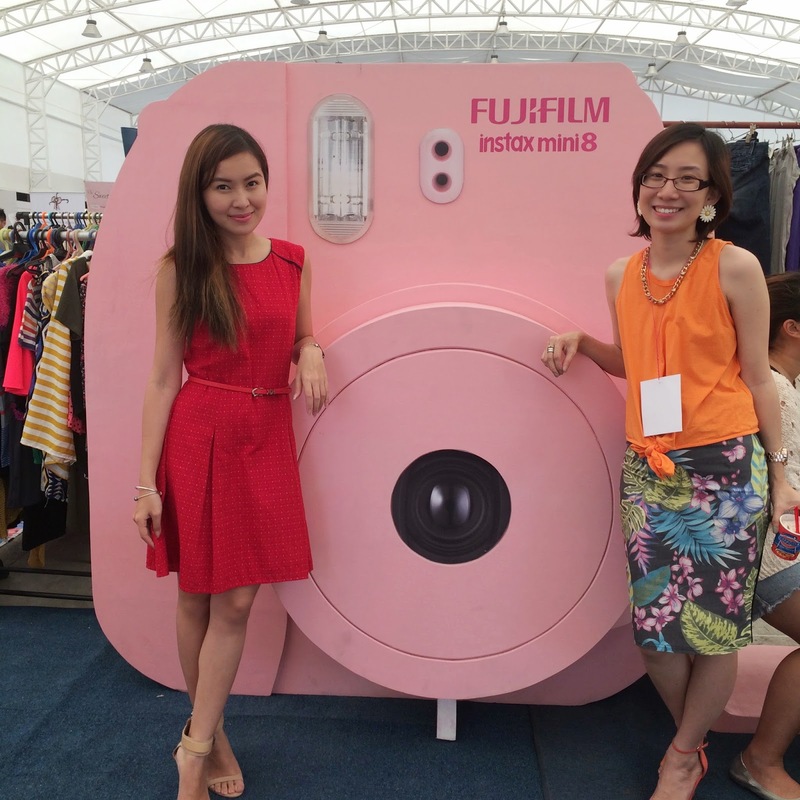 Always my favourite booth, the Instax! 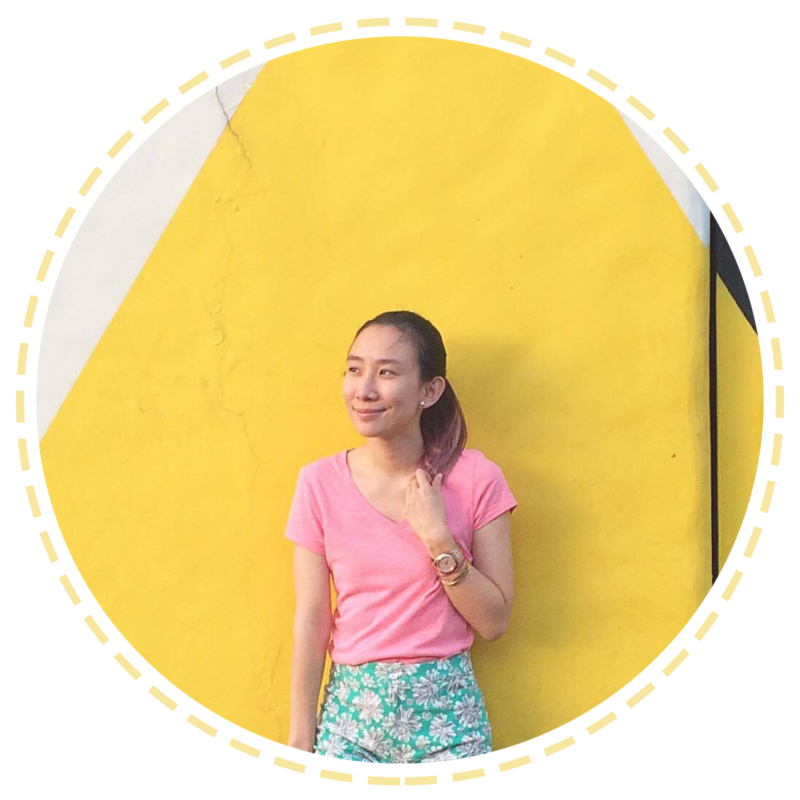 :) I remember last Bloggers United they had the yellow and black. Happy to see they now brought in the pink one! :) Makes me wish I got the pink one instead of the yellow haha! But don't get me wrong, I love my Instax Mini 8! 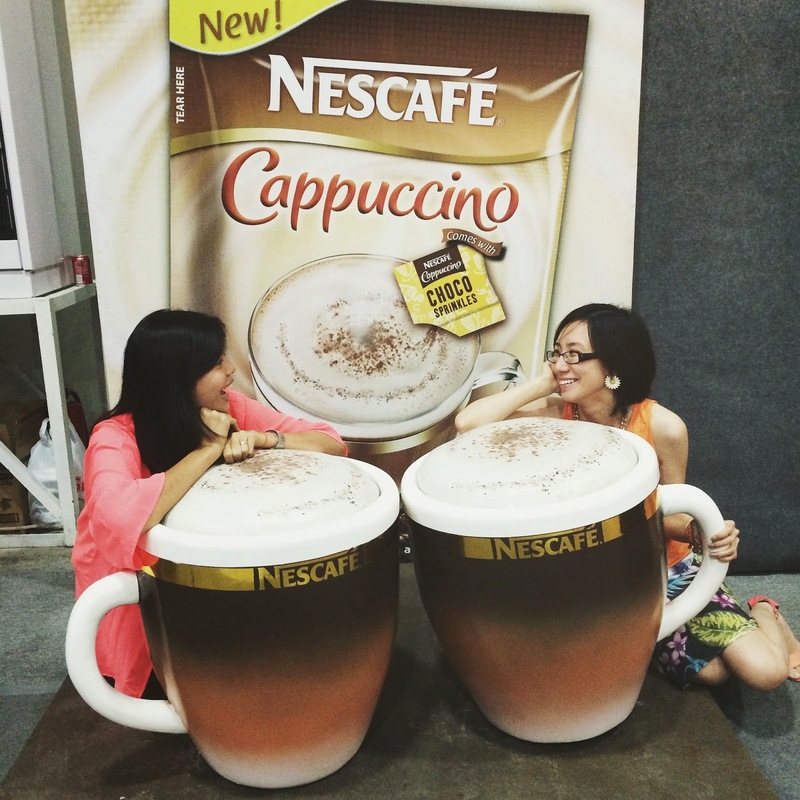 Dropped by the super cute booth of Nescafé. They had these cup of coffee that the best friend and I totally took advantage of. Heavy though, so we couldn't lift them up. Settled for a "coffee talk" pose. =P I love their new variant-- Cappuccino w/choco sprinkles. My new coffee pleasure! 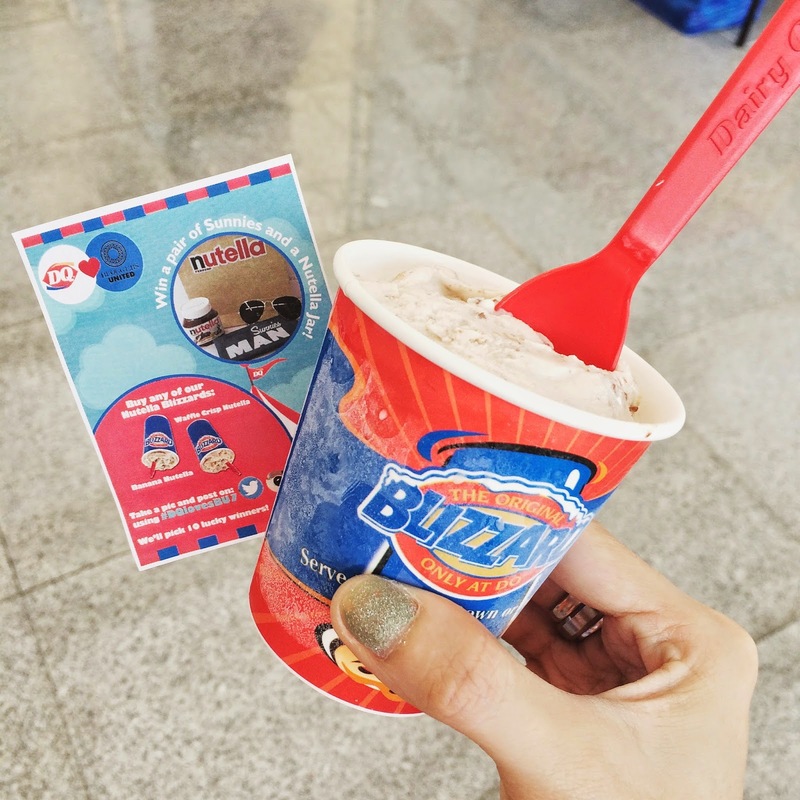 Finally got to try out the new Nutella Blizzard treats of Dairy Queen. :) I got the Waffle Crisp Nutella and it was really good. Can't wait to drop by DQ soon and get myself one again! 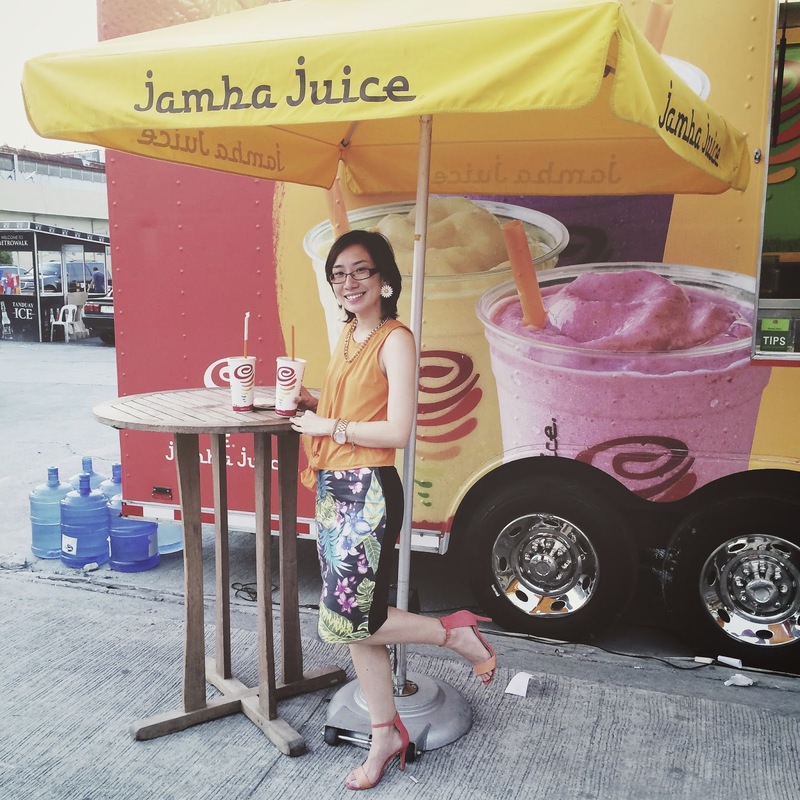 The sun was really scorching that day, so I went to the Jamba truck to beat the heat! Ordered the Banana Berry smoothie and my best friend Nix got the Strawberry wild flavour. I liked mine, but my favourite flavour would forever be Chocolate Moo'd smoothie!^_^ Craving for it as I write this. Yum! 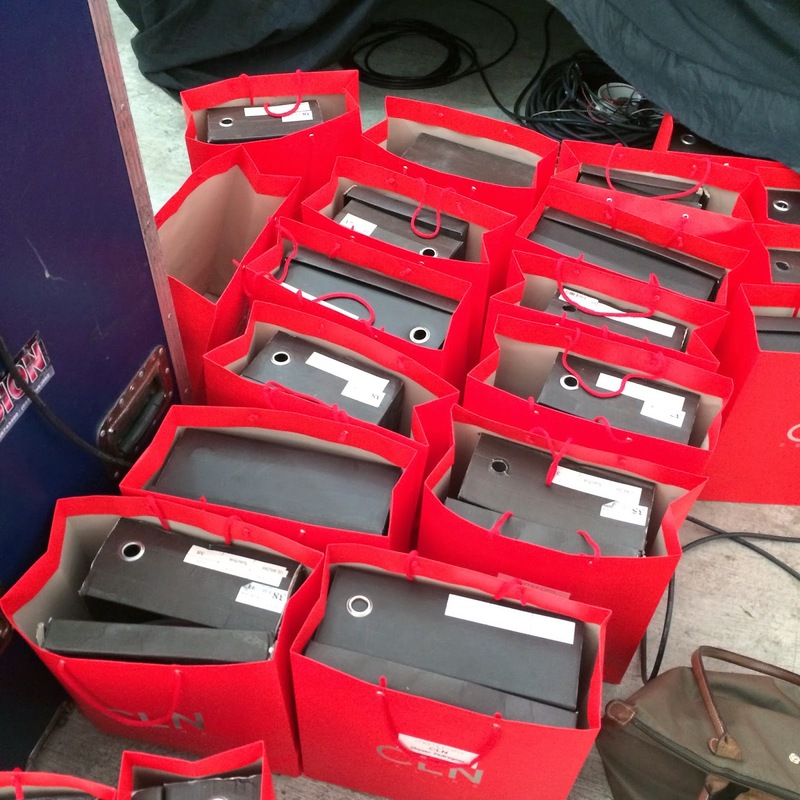 We had a lot of amazing sponsors for this event. One of the major ones were Sunsilk and Smart. They were so generous! 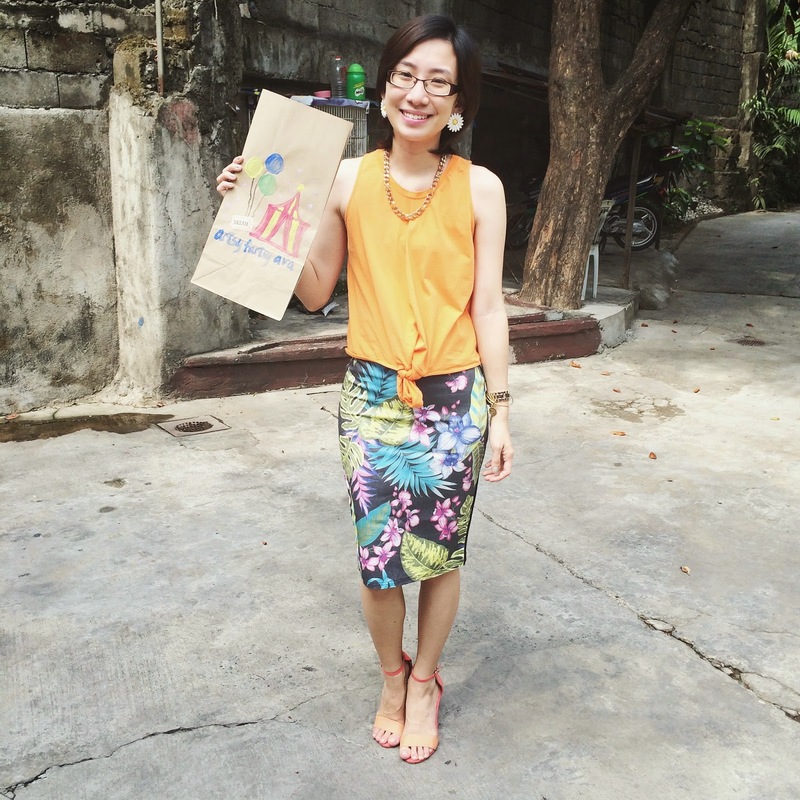 Sunsilk gave out a lot of free shampoo gift packs and Smart gave away a smartphone to the girl shared her stylish OOTD. Congratulations to the winner! Fab outfit! I also loved Reese Lansangan's booth. Too cute for words!! 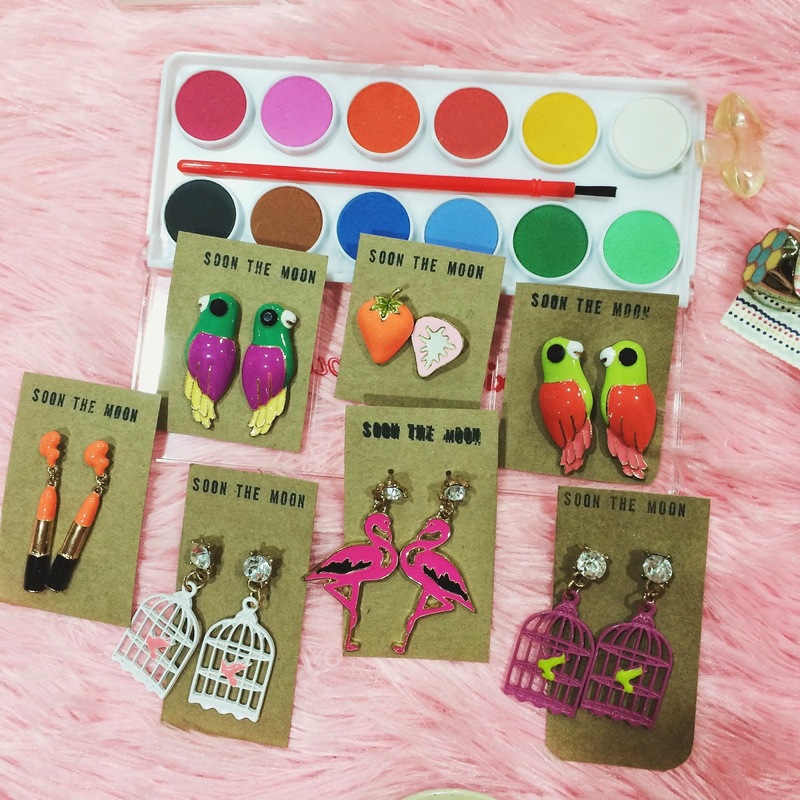 I bought two pairs of earrings from her and it was my first and only purchase of the day! But it was more than enough for me. I love it so much! 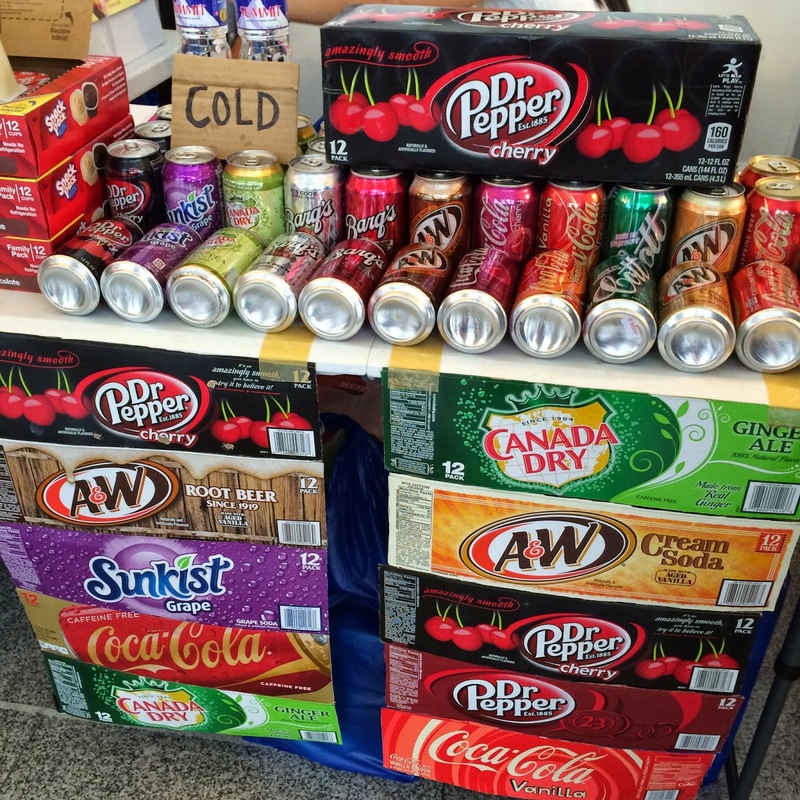 Of course, here's a little glimpse of my booth and the stuff I was selling. I still have some of these, so if you want anything let me know or you can always see them at BU8! And my favourite part of all the legs of Bloggers United, to meet new and old readers/friends! 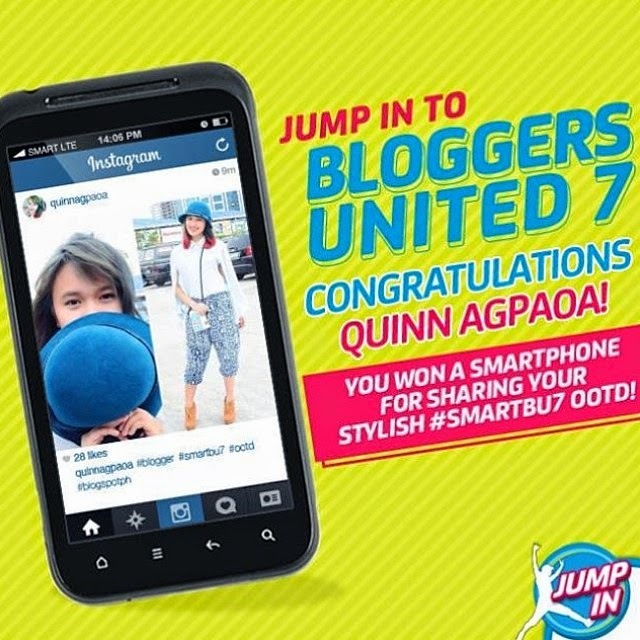 :) Thank you so much for making Bloggers United always so memorable! The selling and shopping can never compare to the feeling I get when I see you guys! :) It's just so heart-filling! Without your support and love, we wouldn't be where we are today. It's always THE best cos you all! 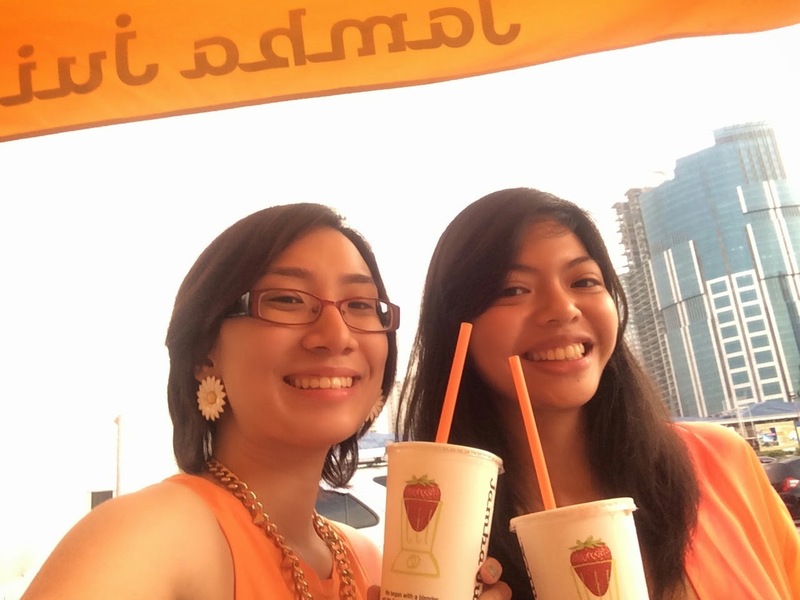 To more Bloggers United and cheers to friendships formed! Congratulations to my girls Pax and Ana for being so hardworking. Bloggers United has gone so far and I admire you girls for always trying your best to make it more awesome than the last. Love you, gals! :) Can't wait for BU8! One of the heels I got from Memorata by CLN were these silver studded pair. This is the one that I got for only Php 100. :) Can't wait to use this too! 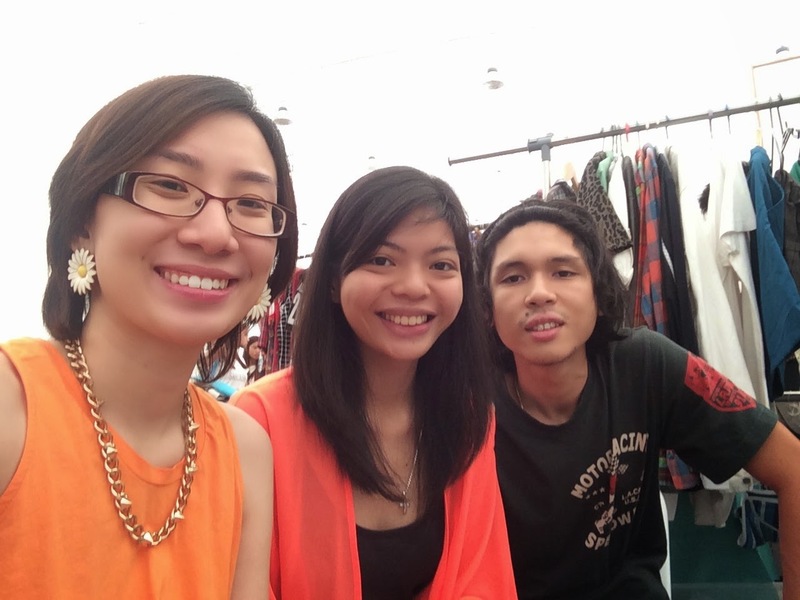 To my best friends, Lester and Nickie, thank you so much for making this Bloggers United so much more fun! I love you both! Thank you so much as well to the people who dropped by my booth! Till the next! Looks like a LOT OF FUN! I enjoyed looking at your photos. I've never been to BU, but this post made me want to drop by the next one tuloy hehe! Oh, and your paper bags are so cute! I love your cute artsy-ness!